This morning we checked out of The Green Gables Inn. We headed on our way to Lowden where we were to meet with Marty Clubb, the winemaker & co-owner for L’Ecole No41. He was a cool Ned Flanders kind of character. He was even a good sport enough to let Rudy push him back and forth on a tall rolling ladder holding a magnum of wine in their tasting room. Chris filmed the entire event. We could hear the tasting room staff saying it was the most hilarious thing they had ever seen. It was quite humorous. L’Ecole No41 is located in an old french schoolhouse. It is very cute! On their bar they even have chalkboards to write on. Marty was another complete wealth of knowledge. 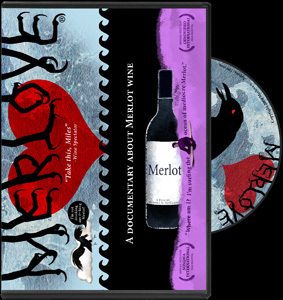 It found it very interesting how he explained himself pouring some of his Merlot at an international wine event and how he could tell the French winemakers attending were impressed with his wine. They didn’t tell him they liked it, but he did notice that they kept telling their friends to come and try his Merlot. That said enough for him. He felt honored. These were top French Merlot producers enjoying his American Merlot.